Today Apple released iOS 7, a new version of the operating system for iPhone, iPad, and iPod Touch. iOS 7 includes a number of new features including a totally redesigned interface. iOS 7 also includes a number of new accessibility features that will benefit users with disabilities. The operating system also builds on existing accessibility features such as Speak Selection, VoiceOver, Guided Access, Assistive Touch, and Zoom. Click on a link to learn more about the corresponding feature. It is exciting that Apple has continued its commitment to accessibility in every new iOS release. Among the new accessibility features are system wide large fonts, customizable captioning, Siri improvements, Switch Control, and more. All of these features are available to all iOS 7 users automatically. To learn more about these features as more information becomes available look for posts titled "new in iOS 7." iOS 7 is available for iPhone 4 and newer, iPad 2 and newer, and the fifth generation iPod Touch. To download iOS 7 go to Settings > General > Software Update. Pizmo 3 has just been released with a new design which is perfect for iOS 7, and has some helpful new features. After updating, you will notice a new app icon and a redesigned interface, but the changes go deeper than just a new design. The updated app is compatible with iPhone, iPad, and iPod Touches running iOS 7. Click here to download Prizmo. Similar to previous versions, Prizmo 3 still allows you to take pictures of text and have the text extracted using optical character recognition (OCR) in order to have the text read aloud using text-to-speech. In other words, you can take a picture of a document and then Prizmo will read it back to you using text-to-speech. Amazingly, whole process takes less than a minute per page. Prizmo 3 also includes PDF exporting and business card scanning. Prizmo 3 adds a handful of helpful new features including support for dynamic text size, optional faster text-to-speech rate, and one touch multiple page scanning. Dynamic text is a new feature of iOS 7 that allows users to specify a text size that is easier for them to read. This text size can be larger or smaller than the default text size. After choosing a text size, all compatible apps, such as Prizmo, will display text in your preferred size. Prizmo 3 also allows users to speed up the text-to-speech rate up to 400% for people who can understand faster speech. Another new time saving feature allows users to scan multi-page documents with a single button press instead of scanning one page at a time. Prizmo 3 is definitely a worthwhile update for all iOS 7 users. To learn more about the features of Prizmo 3 click here. Click here to view screen shots of Prizmo 3 in action. The G-Form Extreme Sleeve is soft and flexible while still protecting your devices. As the school year gets underway it is important protect your electronics from the daily bumps and drops that are inevitable for school children. I tested the G-Form Extreme Sleeve 2, but I did not do any extreme tests that would have put my iPad in jeopardy. That being said the construction and feel of case gives me confidence that the protected device would survive daily falls and bumps. I would be slightly concerned if the iPad or other device fell on its corner because the padding seems slightly thinner on the edges. The case is available in black and bright yellow depending on your preferences. The G-Form Extreme Sleeve comes in a number of sizes ranging from 7 inch tablet to 17 inch laptop. If you're sending your child to school with expensive electronic devices I definitely think that the G-Form Extreme Sleeves are a worthy investment. The cases range in price from $60 to $100 depending on the size. To learn more or to order a case click here to visit the G-Form website. Click here to view images of the G-Form Extreme Sleeve 2. Product was provided complimentary to reviewer. Today Apple announced the iPhone 5s with a fingerprint sensor dubbed Touch ID. Touch ID allows users to unlock their iPhone and purchase iTunes content using just their fingerprint. The Touch ID sensor is located under the home button. This feature allows all users to secure their iPhone without typing in a passcode each and every time. This will encourage more users to secure their phone and decrease frustration when they enter the passcode incorrectly. While the new Touch ID sensor is not exclusively an accessibility feature it will have large implications for some disabled users. Blind and visually impaired users will be one group to benefit greatly. These users use the built in VoiceOver screen reader to navigate the iPhone. Without being able to see the screen typing in even a simple four digit passcode with VoiceOver may be time consuming compared to a sighted user typing in the same passcode. (Don't take this the wrong way, VoiceOver is a fantastic feature that gives blind and visually impaired users access to their devices. It just takes longer to enter information). With the new Touch ID sensor VoiceOver users will be able to almost instantly unlock their iPhone just as quickly as any other sighted user. The Touch ID sensor will also benefit people with cognitive disabilities who are unable to remember a passcode, but still need to protect their device. People with cognitive disabilities can benefit greatly from various iPhone apps, but may not be able to remember a passcode to protect their device. Now with the Touch ID sensor cognitively impaired users can easily unlock their iPhone with their finger. It eliminates the fear and possibility of forgetting your passcode. The iPhone 5s will also include iOS 7 which includes new accessibility features. Click here to learn more about iOS 7 accessibility. Click read more below to view videos about the iPhone 5s. 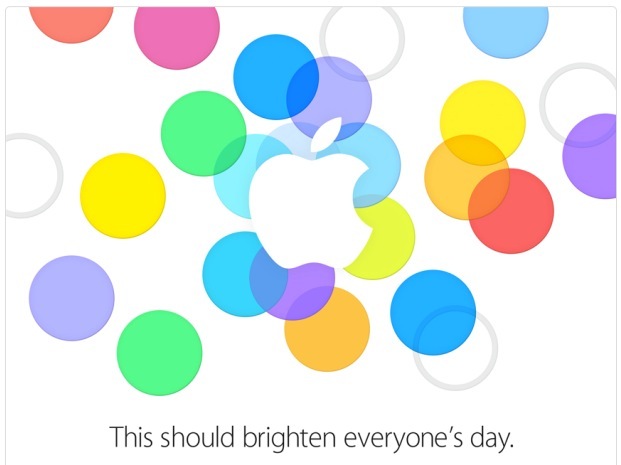 Apple has confirmed previous rumors that the next iPhone will be announced on September 10th at 10 am pacific time. Apple is widely expected to unveil two new iPhone models at the event; a cheaper plastic model and a new top of the line model. The higher end model is rumored to include a fingerprint sensor for unlocking the phone more quickly than a pass-code Apple is also expected to provide further details and a launch date for their redesigned iOS 7. iOS 7 will be available on most current devices and will include new accessibility features. Unlikely to make an appearance at the event are new iPad models which are expected to be announced later in the year. Be sure to check back here on Tuesday, September 10th for analysis of all of the day�s announcements and how they impact the world of accessibility.